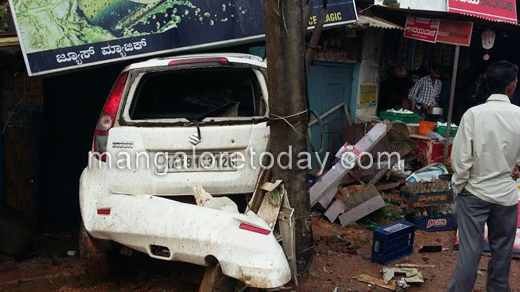 Mangaluru July 31, 2016: A speeding Maruthi Ritz car crashes into a electric pole and rams into a nearby shop at Panjimogeru in Mangaluru on July 31 , Sunday. It is learnt that the car was plying from kavoor towards kulur . 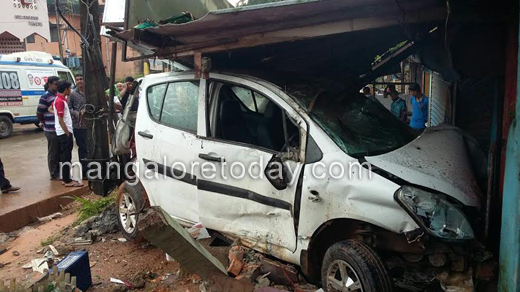 The driver lost control on the vehicle hit aelectric pole latter rammed into a shop. The driver escape with minor injuries is being treated at a hospitali in Mangalueu . Car is completely mangled. 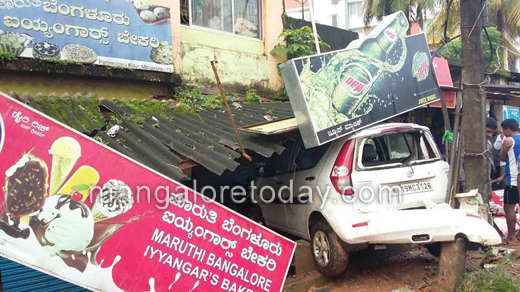 The locals blame over speed and negligence of the driver is the reason for the accident. Identity of the driver is not known.